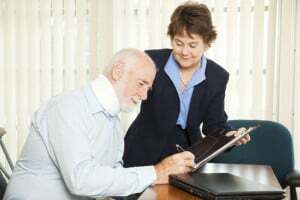 Home » Blog » How Long Does a Personal Injury Lawsuit Take? When you are thinking of filing your personal injury lawsuit, you may be wondering how long it may take before you receive your compensation. The Dashner Law Firm has helped countless clients with their personal injury lawsuits. We understand that the timeline of receiving that financial support is important. Especially when you may be out of work due to disability caused by your injury. We must specify that every situation is unique and your case may be shorter or longer depending on the facts. You must be quick about deciding to file your personal injury lawsuit. In Texas, there is a time limit that applies to filing your case. It is called the statute of limitations and is two years from the date of the injury. If you fail to file your case within that two-year period, you waive your right to compensation. Filing your case initially can be easy when you have the help of an attorney. Your attorney will instruct you to gather important documents to use in your case. The length of time to get these documents can depend on a few different factors. Sometimes documents may be hard to obtain so this may take a bit longer. Your attorney will have the experience in obtaining what you need as fast as possible. Some documents you can try to obtain yourself include: medical bills, lost wages, police reports, or any documents the other party has served on you. The length of time until you receive compensation depends on if you accept a settlement or if your case goes to trial. Your attorney will be able to instruct you if the settlement is fair or if you should take your lawsuit to trial. If you need to file a personal injury lawsuit, talk to the experienced attorneys at Dashner Law. Call 972-793-8989 or 817-864-9980 today to schedule your initial consultation.